Happy New Year, my loves! Thank you for being here and for being a part of my dear tribe. I am SO grateful for you and I am very honoured to share my insights and intuitive guidance with you. You are a blessing in my life. 2017 is feeling pretty big already! I am so excited to share my very first 2017 New Year Intuitive Reading + My Favourite Practices with you. I hope you’ll love the video above and towards the end I’m channeling a powerful and very loving message from my spirit guides. I hope it feeds your whole being. And please share with your tribe if it resonates. As I share in the video I started doing an oracle card reading when my guides nudged me to do this video so I’m also shaing the cards and messages that came through here. Gemini – Communication is so important. Nurture all your relationships – especially your soul-mate connection with your partner or others – and consider the power of your words. You are a powerful co-creator and leader so connect with your inner guidance and share the messages that come from your soul. Speak from a place of love and in alignment with your highest self. Thoth/Seshat – Sacred Scripture. Study the ancient learning and wisdom. Dive into the old scriptures or explore magic in order to learn about your own life pathway. This may include past lifetimes that are having an impact on you now. Release everything that isn’t helping you to move forward so you can truly shine this year. Athena – Peace is always possible. Breaking patterns. It’s time to show up fully and create change. Deep transformation of old patterns and ways of being is possible. Your old patterns will keep leading you to the same place so it’s time to break them and focus on peace and new ways of being. Dare to dream of peace and Athena will send you her wise owl to assist you. You are supported. Wolf – New pathways. It’s time to follow a new pathway or take a new direction. It may be time to look for a new teacher or new teachings. Or maybe you need to go within and take some time to listen to your own inner guidance and wisdom. It’s time to let go of the old and create a new path. It’s time for you to lead your tribe! Serapis Bay – Ascension and Sacred Sound. Pay attention to where you are losing energy and where you are wandering off your true path. Refocus on your truth and your purpose in this life. Don’t let the outer world pull you off course or distract you. Reconnect with Source and your true self and you will be guided. Capricorn – This is a practical and grounded sign. You will receive all the support you need to move through all the obstacles and challenges on your path to fullfill your dreams in life or business. This IS the work you are here to do. Through this journey you will grow into the person you are here to BE. Siddhartha – Balance, the middle way. If you find yourself living in one extreme or another, now is a great time to come back into balance. Find your own middle way and trust what feels right to you. Seek inner balance and trust that when you ask, you will be guided. Only love is real and eternal so come back into the vibration of love and you will feel whole again. I am using the beautiful Sacred Journey Oracle Cards by the Australian author and artist Lesley Ann Crossingham. When I have filled out my workbooks I start mapping out my year and fill my diary planner with goals for each month and tasks to do so I reach these goals. This is a great way to see if the dreams that are in my head are actually possible when it comes to the time/energy balance. I check my planner regularly (at least once a week) and re-ajust when needed. I use my wall calendar to map out my bigger goals like creation and launch of my services (like the Shine Your Light in 2017 and Clear Your Path & Shine) and events (No Limits Live Event in Brussels on March 24-26). Some of my favourite things in Leonie’s bundle is the word of the year. This year my word came to me and wouldn’t leave me until I said yes. EXPAND. It’s such a big word and it is already stretching me in so many ways. I have set the intention to allow myself to expand with EASE this year . Every time I’m being asked to grow and open up to more I ask for the easiest way to do this. Of course it’s not always super easy but I give myself the time and loving support I need and it feels very different from before. This is one of the ideas suggested in Leonie’s workbooks and I’ve been creating dreambords for 5 years now. It’s such a powerful – and fun – way to get out of our heads and into our hearts. When you ask Spirit to guide you to find the right images and words for your dreamboard you tap into something much vaster than yourself. 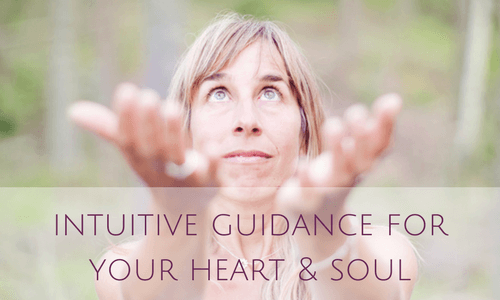 Let your intuition guide you, have fun and see where this journey takes you! I’ve been offering Intuitive Readings for many years now and love supporting others to tap into the energy of the new year. If you wish to receive loving support and guidance find out more and book your space here. This year I will offer two group programs – Clear Your Path & Shine that starts in April (registrations will open soon!) and Embrace Your Purpose in September. Both groups are for women who are ready to embrace this level of support but don’t feel like creating it. You are so welcome to join us and make sure you are on my Love Letter list to be the first to know when the doors open (+ receive extra gifts!). My go to wise women for energy work are Lara Waldman (she is gentle, graceful and offers very deep healing around money and abundance), Lysa Black (super powerful and she knows exactly how to access the deep wounds so they can heal), Ruby Toad (I always get my yearly Oracle Card Reading from her and she’s down to earth and awesome), Belinda Pate-MacDonald (such a gifted healer, channel and her connection to the earth is amazing) and Jackie Stewart (shamanic wild woman, essence practitioner and so great at holding space for all the emotions to flow). I love going to creative dance workshops, paint, take the train and hike up my favourite mountains. If you think you don’t have time to play and have fun you definitely have to do it :). I often resist stepping away from my work (because I love it so much!) but my best ideas and divine downloads come to me when I’m doing something else. PS: If you get your workbook and/or planner from Leonie Dawson through my affiliate link by January 25 you may be one of the 3 winners of a 45 min Intuitive Reading with me.